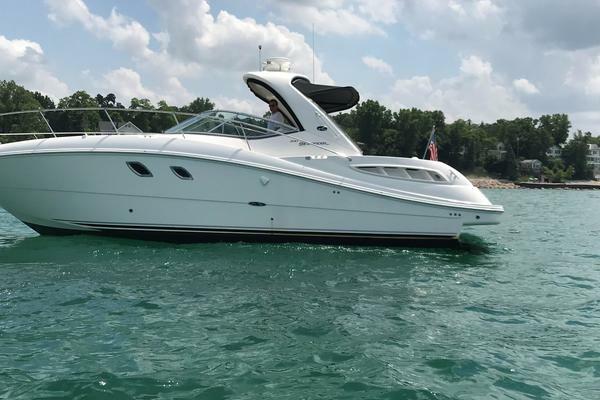 BOAT SHOW SPECIAL- SPECIAL PRICING FOR WEEK OF BOAT SHOW ONLY. SOLD AS IS. "Miracles" Is new to the market and has all the amenities necessary to make her a superb cruising yacht. The layout, diesel power and quality in this price range should be considered. 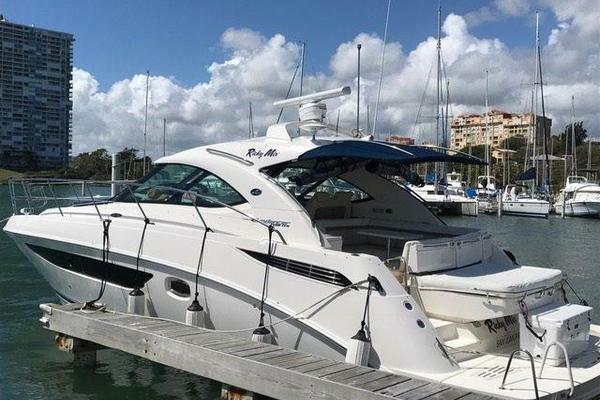 West Florida Yachts would love to guide you through a personal showing of this 44' Sea Ray 44 Express Bridge 1996. 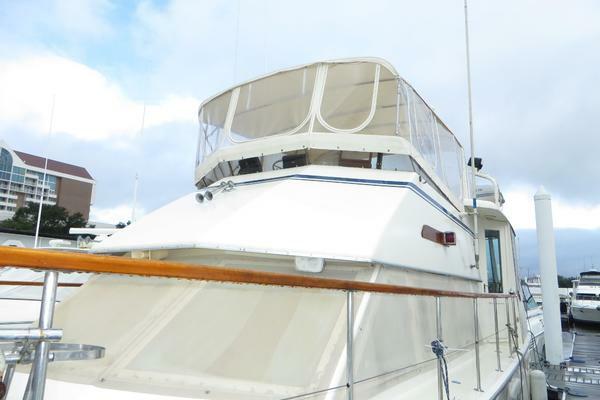 This yacht for sale is located in Lake Park United States and priced at $79,500. For a showing please contact us by filling out the form on this page and we will get back to you shortly! Separate Shower Stall with Glass Folding Door. The Aft Deck Features A Non-Skid Deck Surface with a Newly Upholstered Seating with Covers. The Fly Bridge is Accessible by the Staircase Aft or from the Forward deck.